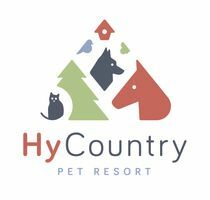 Whether you’re going on vacation or need to be out of the house for a little too long, you can trust Hy Country Kennels & Pet Resort in Vernon to take care of your furry friend while you’re busy or away. Our 10-acre facility has six exercise parks for your pets to run and play freely and offers both indoor and outdoor environments to maximize your pet’s comfort throughout the seasons. We are committed to you and your pet, which is why we are open seven days a week for your convenience and require all members of our staff to be certified in Dogsafe Canine First Aid. Contact our office to learn more about our pet kennels and boarding for cats and dogs.